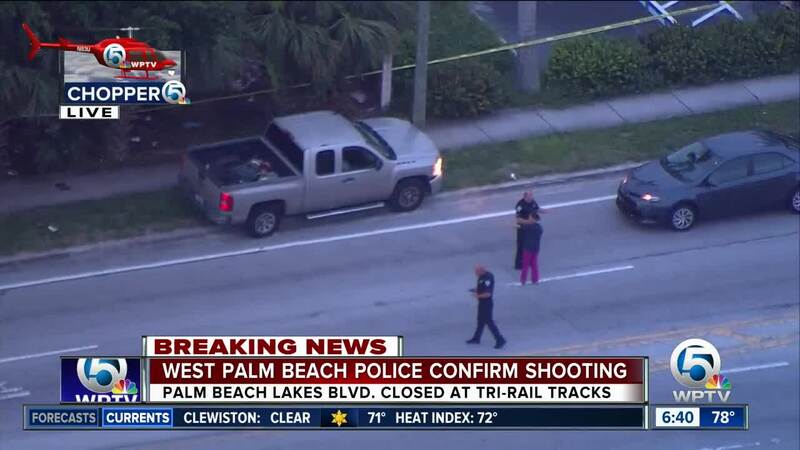 Police in West Palm Beach said a driver, who was found shot in his vehicle Friday morning, has died of his injuries. Chopper 5 flew over the scene at 6:20 a.m. and spotted police and fire rescue crews. West Palm Beach Fire Department transported the driver, identified as Benjamin E. Taylor, 40, of West Palm Beach, to a nearby hospital in serious condition. 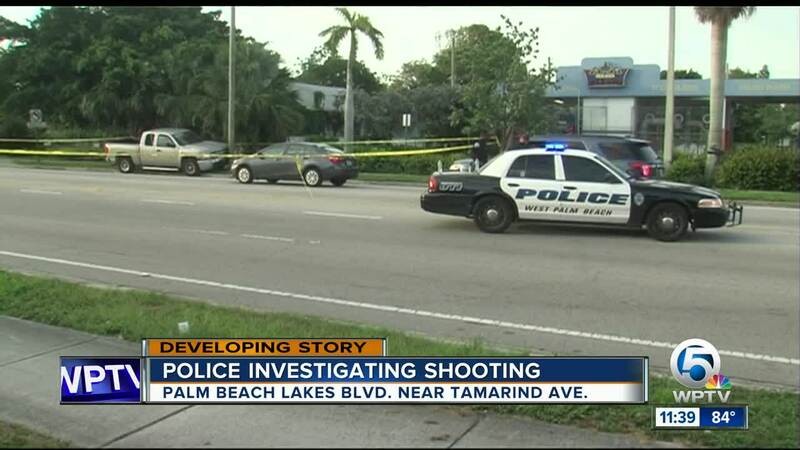 He later died around 10:30 a.m.
Police said they believe the shooting happened in the 1100 block of North Tamarind Ave., then Taylor headed westbound on Palm Beach Lake Boulevard and hit the pole. Investigators said another driver was heading east, saw the wreck and called police. The witness said he thought it was simply a crash and didn’t know the driver had been shot. Police believe Taylor was shot while in his truck and also believe he was targeted. All roads in the area are back open after earlier closures. Anyone with information about this shooting is urged to call Palm Beach County Crime Stoppers at 1-800 458 TIPS. Callers can remain anonymous and may be eligible for a $3,000 reward.